Is the 800lb gorilla awakening? Back in November, we wrote a column explaining why Zynga Casino GM Lo Toney‘s statements about his company not being interested in real-money poker where either a) misguided, or b) just a ruse as they were about to IPO and didn’t want to either artificially pump up the stock price or make misleading statements. It was still a somewhat odd statement, as Lo had told us in the past that Zynga would at least “explore all opportunities” in real-money gaming. We also knew the company has had many exploratory real-money meetings over the past year. Then, the company IPO’d. And to a degree, the stock has somewhat underperformed expectations. In fact, Zynga (ZNGA) still hasn’t traded above its $10 strike price. So yesterday, we began writing a piece on why Zynga will likely begin more aggressively exploring real-money poker opportunities. With the IPO out of the way, and with the stock not going as gangbusters as some expected, there was no reason not to. All Things D has confirmed that Zynga is in fact seeking partners for online gaming initiatives. The interesting aspect of their statement is that Zynga claims to be “listening” to their players, and that there’s real-money interest. While we have no doubt that there is a small cross-section of social media gaming players who also play for real-money, it’s still a very, very small percentage. As we’ve written in the past, the conversion rate for free-play customers on real-money operators (i.e. registering on a .net and eventually depositing via the .com) over the years dropped to around 10%. And those are people who were likely watching poker on TV and were specifically flocking to PokerStars or Full Tilt for at least a somewhat realistic real-money experience. The demographic and psychographic profile of a social media gaming player is dramatically different than that of even an old .net customer (think older, mid-western house wives). For tangible proof, look no further than Zynga’s PokerCon in March 2011. So the conversion of Zynga’s existing customer base will be small. 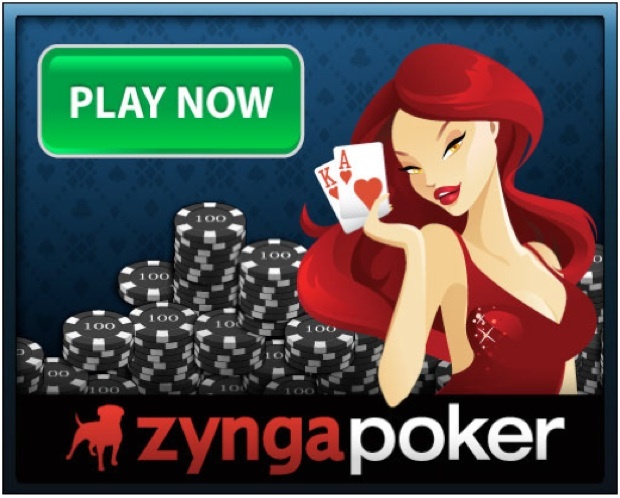 However, that doesn’t mean that Zynga shouldn’t eventually offer real-money gaming. Acquire a top-notch platform that has not operated anywhere yet (there are surprisingly a lot of platforms available for purchase that fit this bill right now in the $2-10M range). Make a majority of the purchase a stock-swap with plenty of upside, limiting cash out-of-pocket. Invest heavily in R&D with the platform, integrating social media hooks that would enhance potential conversion of existing customers and reach to new customers via existing channel. Develop a dual-wallet payment processing system, which allows for both virtual good purchases and real-money deposits. Launch real-money first in regulated European markets. Concurrently, find suitable brick & mortar U.S. partner, but one that provides most favorable revenue split (i.e. the opposite of MGM-Boyd-bwin.party). Zynga is still a long ways away from making a real-money gaming splash, but if they do end up fully committing to the strategy, they have a chance to be a force. But it’s by no means a given. Zynga stock has been trading up 3-5% from their news on Friday.